We are happy to release Hapao2 for Pharo. Ricard Jacas and Alejandro Infante put quite some work on Spy2 (an über cool profiling framework for Pharo) and Hapao2. Hapao2 is about assessing the test coverage of your code and is a major revamp of Hapao1, which was presented a couple of years ago by Vanessa. 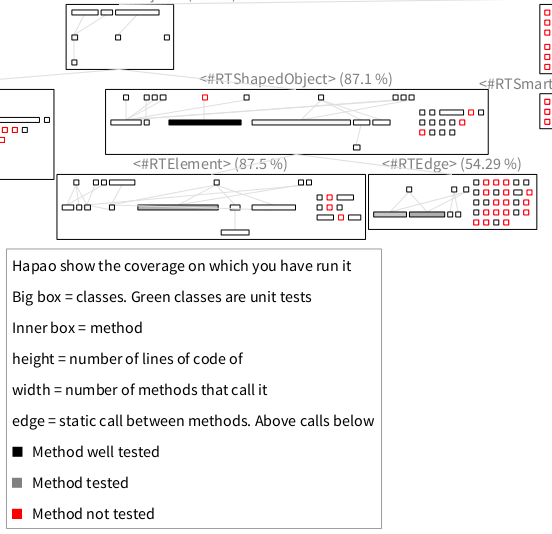 Hapao2 does not only list covered and uncovered methods, as most test coverage tool on Earth will do. Hapao gives a great visualization to easily navigate in your code, assess its complexity, and give you a great visual output telling its coverage. We are daily using Hapao to help us understand our tests.